Waving goodbye to the relatively cool June days, temperatures began to steadily rise as we worked our way South from Berlin. 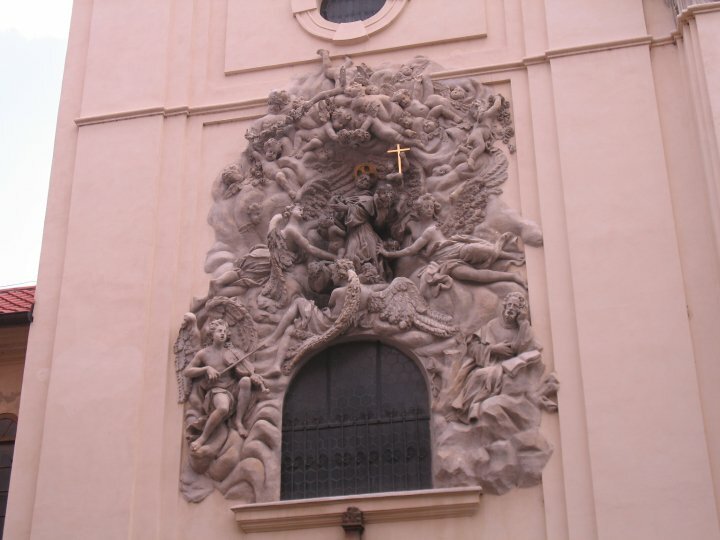 Stepping out of the train station in Prague, the humid, hot European summer air gave us an unpleasant welcome. The crowded tram that we hopped onto to get to our hostel didn’t improve matters, as it was packed and lacked air conditioning. What kept us going was the thought of a nice, cold shower upon arriving at our hostel. 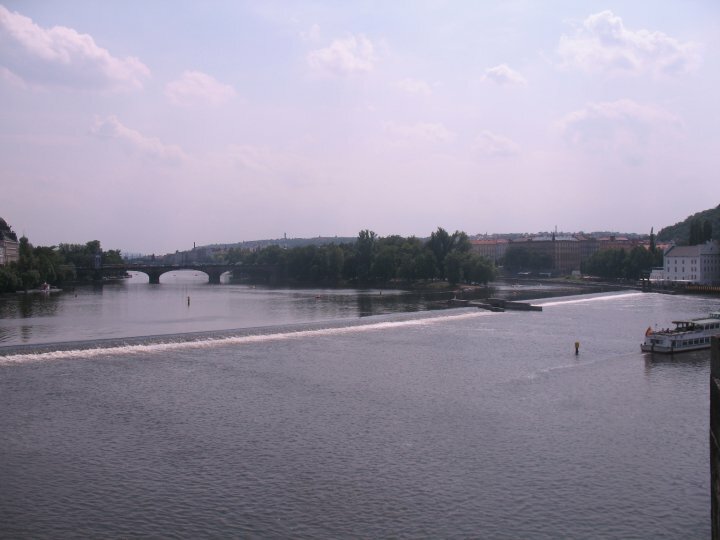 Since the only factor in choosing accommodations for our three days in Prague was price, our 6€-per-night hostel was located on the outskirts of town, a 15 minute tram ride away from anything worth seeing. Finally expecting to bear the consequences of poor planning, we found our hostel in a remote part of a residential neighborhood, situated at the end of a long, empty road lined with old warehouses and office buildings. 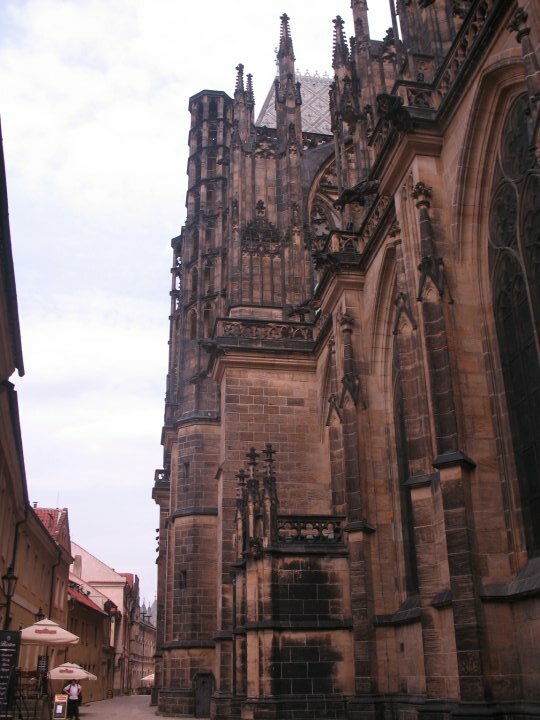 “Plus Prague Hostel” was in one of these old buildings, and we hesitantly walked through the front doors. This was by far the most amazing accommodation that I have ever stayed in. We were greeted by a colorful lobby and vibrant employees who started off by giving us a quick tour of the establishment. The first stop was the lobby, which consisted of a lounge area with a pool table, vending machines, and tables for visitors to use the free wifi and enjoy snacks. We next made our way to a building in the backyard, situated between a beach-volleyball court and an area with several hammocks and lounge chairs. There, we entered the hostel’s restaurant and bar where we were given a complementary beer. With our jaws still hanging below our neck, we moved back to the main building and took the stairs down to the lower level, where a few Australian backpackers were cooling off in the indoor pool and sauna! 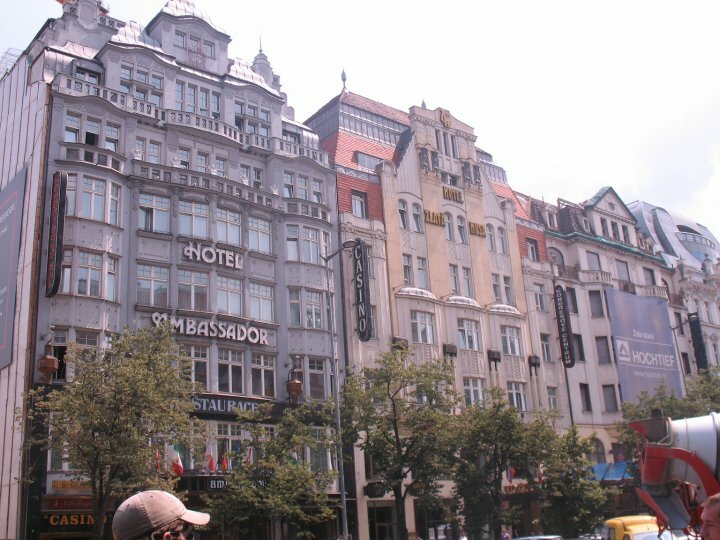 Finally, once the tour was over, we were given one free tram pass and detailed maps of the city, then escorted to our room. The room was by far the most spacious one we stayed in on the trip. Further, it was our own room with a private shower and storage closets. 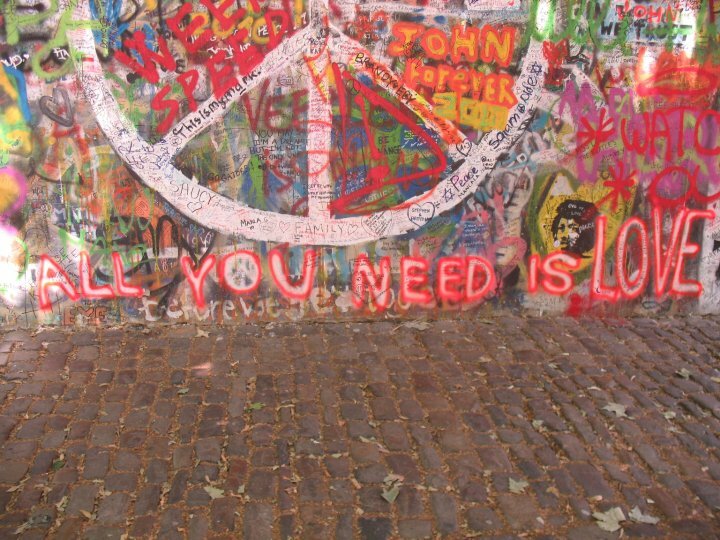 Prague was already proving to be a wonderful place. Thanks to the amazing technology known as Google Maps, not only can you check out the neighborhood that our hostel was situated in, but you can actually walk inside and tour some parts of the establishment! 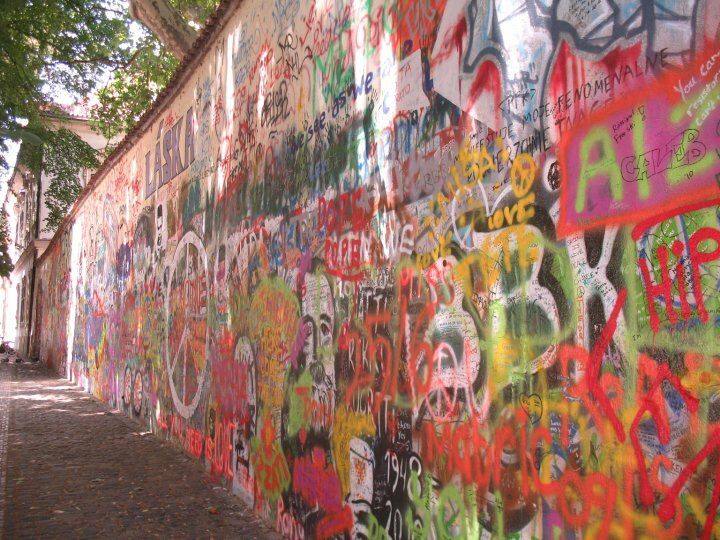 Enjoy the tour of our cheapest and by far most enjoyable accommodation in Europe. 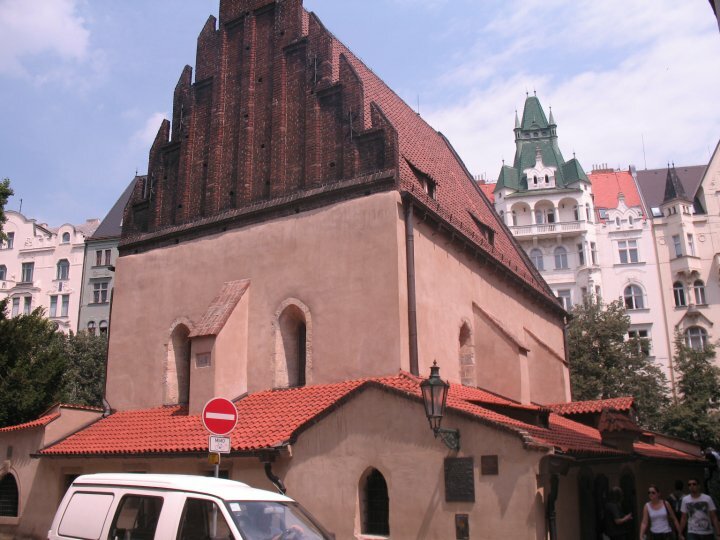 Our walking tour went through the Jewish quarter, known as Josefov, which contained incredibly well preserved buildings, as this was to be the center of the “exotic museum of an extinct race”. 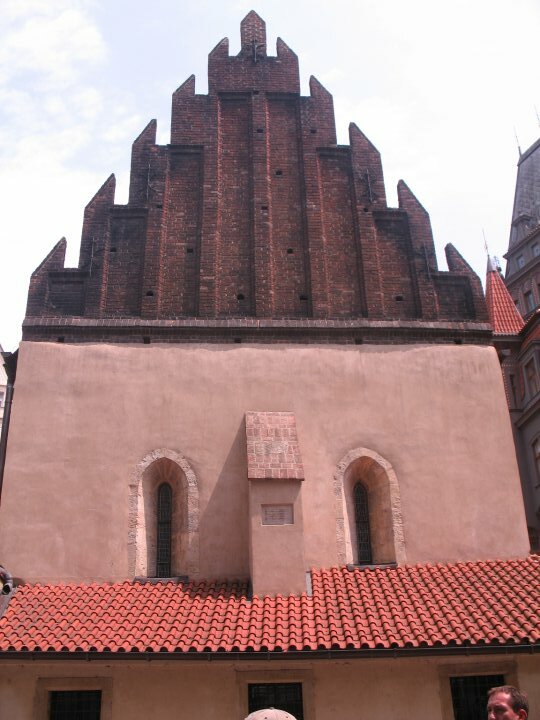 The most striking building is the 13th century Old New Synagogue, the oldest active synagogue in Europe, which also happens to be one of Prague’s first introductions to Gothic style architecture. 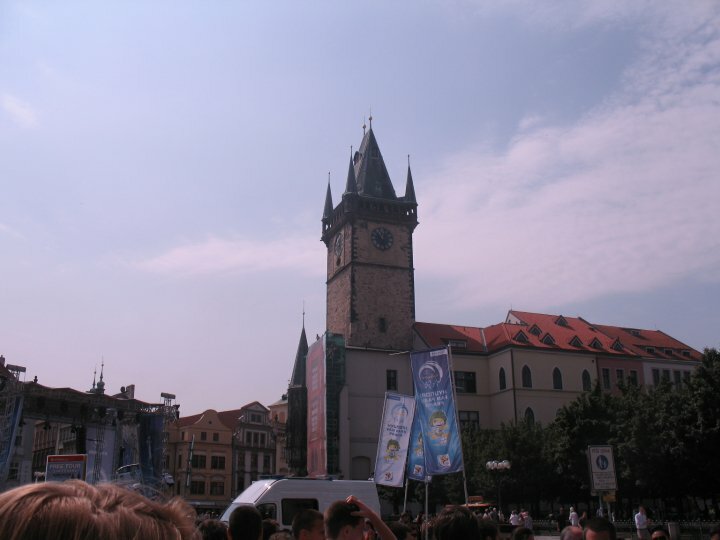 Our guided tour ended in Old Town Square with the renowned astronomical clock tower. I found this structure to be the most impressive and fascinating. This brilliant 15th century feat of architecture and engineering is decorated with beautiful Gothic features and contains a mechanical clock, calendar dial, and astronomical dial that precisely tracks numerous astronomical details, including the positions of the sun and the moon. What I found even more intriguing than the detail and precision with which the medieval clock operated was the story, or rather legend, behind its construction. As the locals recount, upon completion of the structure, the clockmaker, who waited patiently for months for his well deserved praise, was instead blinded by the town officials. This eliminated any chance of his recreating such an intricate and impressive design for another city in Europe. Seeking revenge, the clockmaker made his way to the top of the tower one night and removed an instrumental piece from the internal machinery. 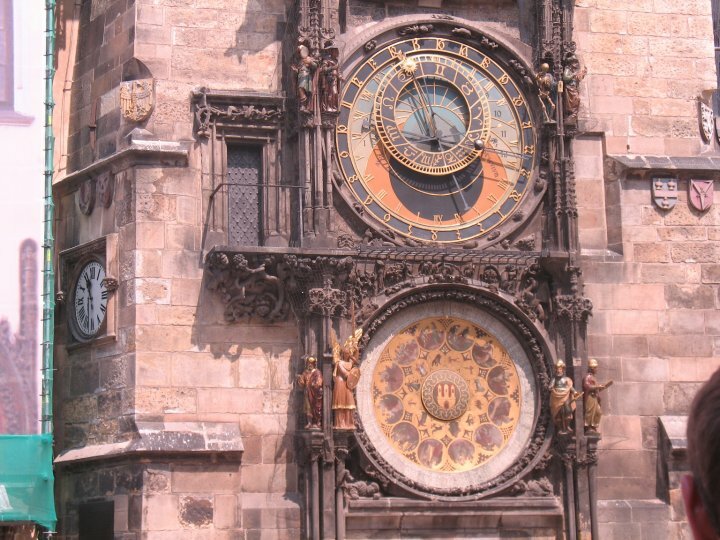 For the next 100 years, the clock remained irreparable. 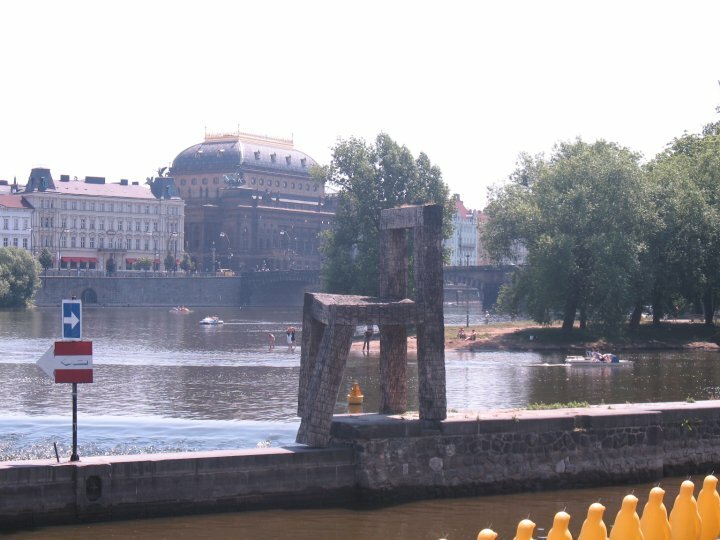 Although not fully visible in the photos above, the statues are standing on a map of Czechoslovakia, one on the Czech side and the other on the Slovakian. 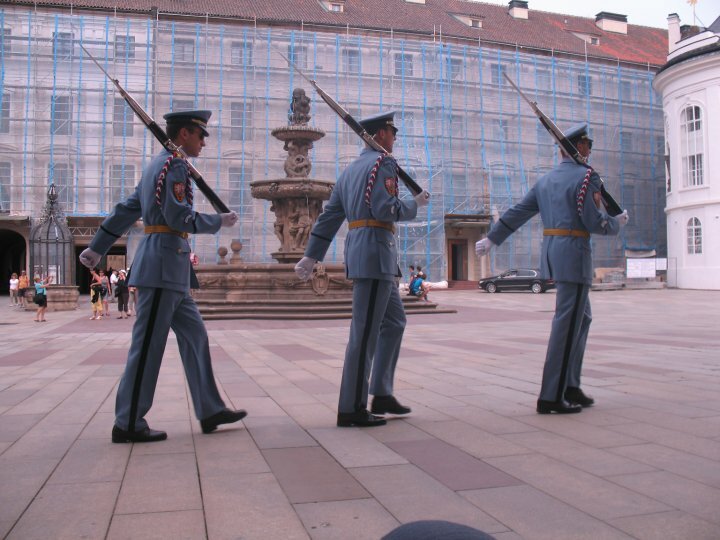 The hip portion of each statue is mechanized to sway from side to side, while the ‘member’ moves up and down, causing the ejecting flow of water to swirl into patterns. Further, for those keen observers, the steady flow of water from the statues’ lower ends actually writes out phrases in the water! 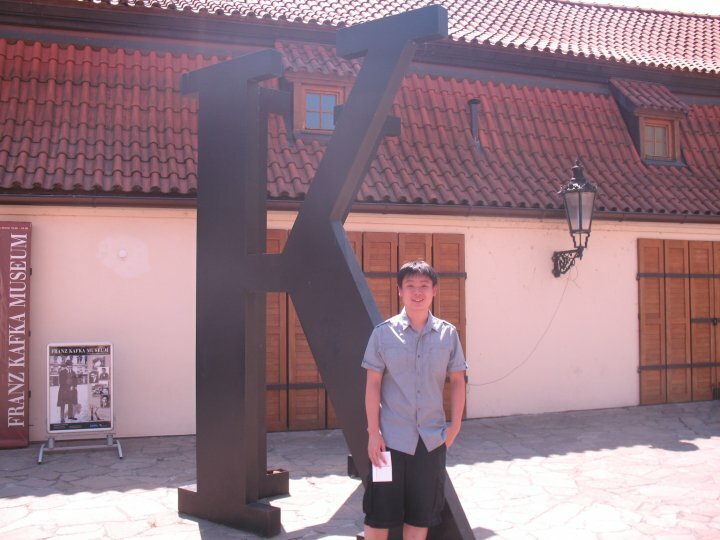 Most of the time these are specific, famous Czech quotes, but those who desire to do so may text a phrase to a displayed number and see it urinated by these mechanical, bronze men shortly after. 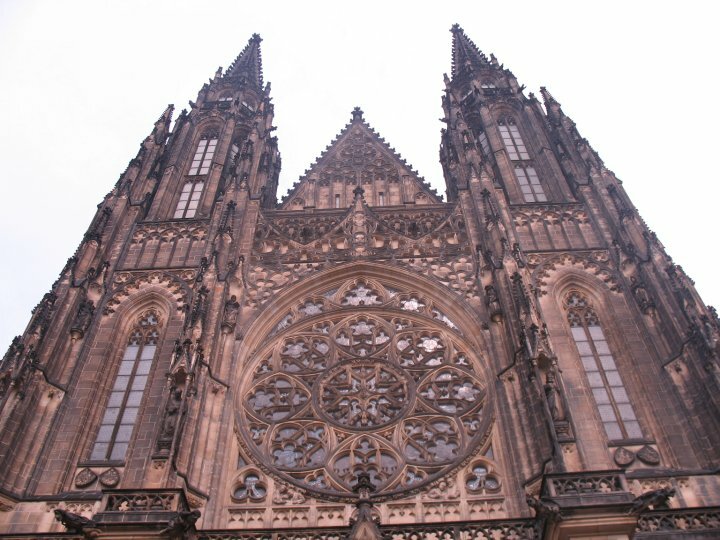 On our third day, we took a trek to the Prague Castle, the largest ancient castle in the world. 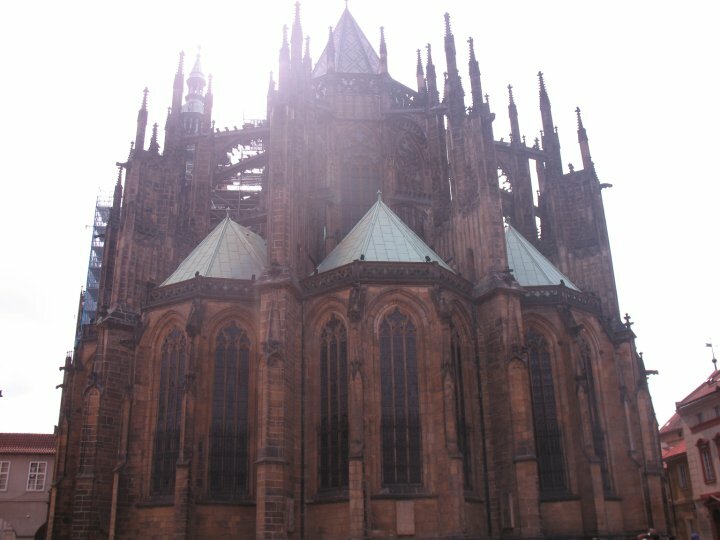 Situated at the top of a hill, the Cathedral is visible from all around the city. At first it was hard to believe that what looked like a regular sized structure from a distance could actually have this record, but once we made the arduous climb to the top and reached the entrance, we found that the castle included an impressive expanse of various other palaces, buildings, gardens and much more. 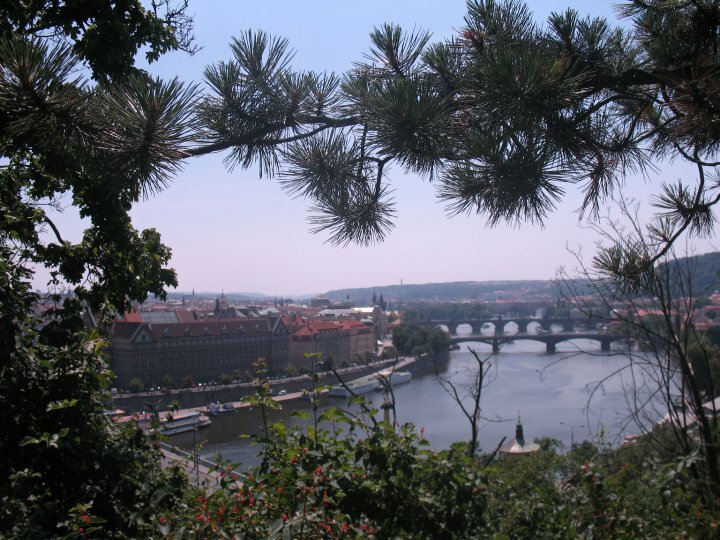 Prague was an enchanting city. My time there felt like walking through centuries of history, experiencing nuances at every corner that presented a small taste of the past. 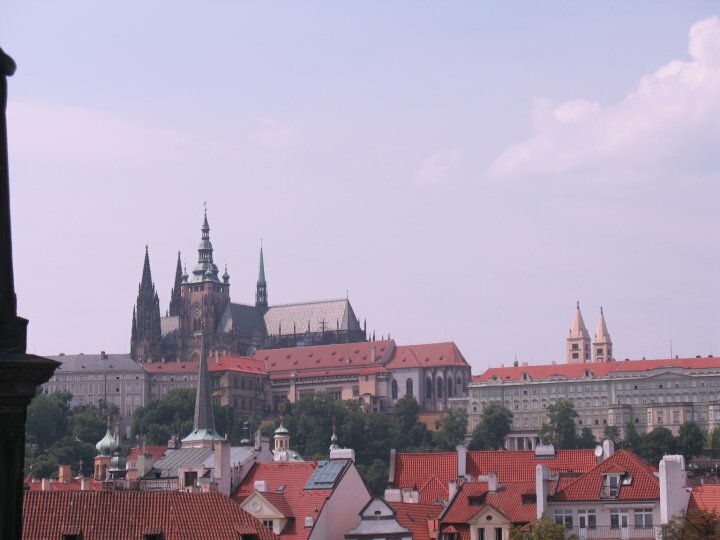 However, the recollection of my experiences wouldn’t be complete without praising what the Czech might be most widely known for…their Pilsner consumption. 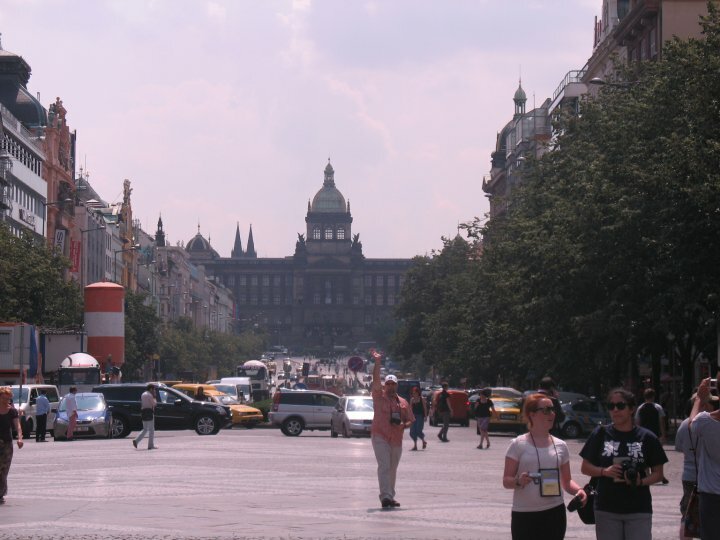 The Czech consume the most beer per capita, averaging at the time roughly half a liter per person per day. Ordering “Pivo” at any restaurant or bar meant you were given a liter of Pilsner Urquell, which is served on tap practically everywhere, and it only costs 1 USD (or 22 Czech crown). By comparison, water racked up a bill of 3 USD! So, Pilsner was our nutrition of choice for 4 days, especially when each liter was half off during World Cup matches.